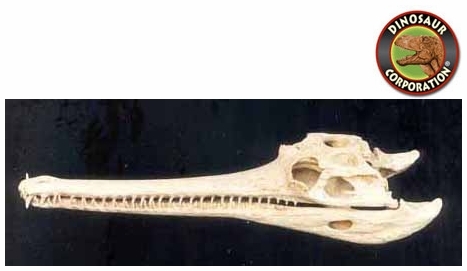 Ganges Gavial Skull. Gavialis gangeticus. Large N. India rivers. The gharial (Gavialis gangeticus), sometimes called the Indian gharial or gavial, is one of two surviving members of the family Gavialidae, a long-established group of crocodile-like reptiles with long, narrow jaws. The gharial is the second-longest of all living crocodilians: a large male can approach 6 meters in length.